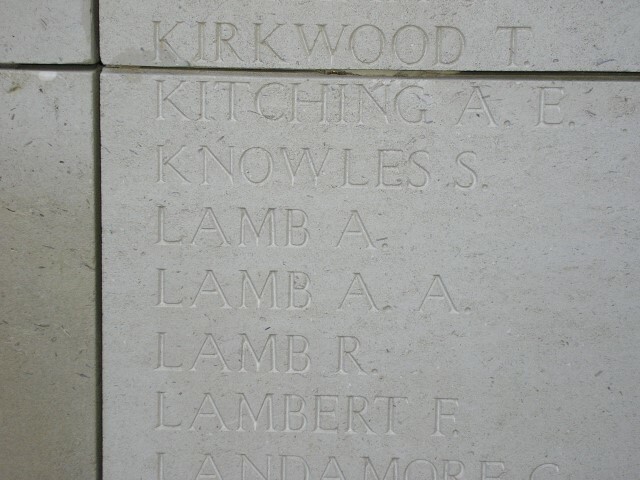 17342 Private Albert Lamb, 7th battalion, the East Yorkshire Regiment was killed in action 16 February 1916 and is commemorated on the Ypres (Menin Gate) Memorial, Belgium. He was 32 years old  and is commemorated on the Cockfield War Memorial. Albert Lamb was born c.1885 at Butterknowle. To date, his parents have not been identified but his grandparents were Robert and Mary Lamb who lived at the Slack. Albert had 2 brothers, Thomas William and Bertie. In 1901, Albert, Thomas and Bertie lived with their uncle, Charles Lamb and his sisters, Hannah and Mary at Bowes Hill in the Parish of Lynesack & Softley. Charles worked as a coke drawer, 20 year old Thomas was a coal miner (hewer) and 16 year old Albert worked as a coal miner (putter). By 1911, the family lived at 36 Burnt Houses near Cockfield where Albert worked as a coal miner (hewer). 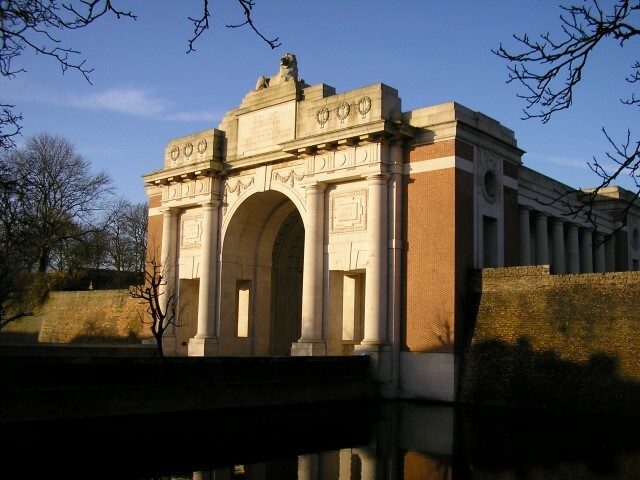 In July 1915, the 17th Division landed at Boulogne and concentrated at St. Omer then moved to the Ypres area. The War Diary records that between 1 and 6 February it was “in rest” at Recques. 12 February: Battalion ordered to “stand on account of attack” on the left sector. 14 February: another warning that the Battalion may be required. 15 February: 12.45am, Battalion “stood to” and at 2.00am marched to Brigade HQ at Woodcote Farm arriving 5.20am. They marched through a severe blizzard. 9.45pm, the Head of Dorset Regiment arrived at Battalion HQ – bombs issued to Dorset Regiment, orders issued to consolidate the trenches they now held to guard against possible counter-attack from the enemy. Special instructions were given to the Bombing Parties (Operation No.36). 7/Lincoln & 10/Sherwood bombers from the junction of trench 32 and Wood Street and bomb towards trench 32. On reaching the front line, the Sherwood bombers would turn north and bomb towards the Borders & Staffords. The Lincoln bombers would turn south and bomb down trenches 31 and 31a. Cyclist bombers from the junction of Nedge Row and trench 31s and meet the Lincoln bombers attached to the 7/East Yorkshire Regiment and bomb from Angle Trench up to trench 30 and along Loop Trench. The O.C. 8/South Staffords and 7/East Yorkshire Regiment would combine an infantry attack across the open and co-operate with the bombing attack and consolidate the ground won by the bombers. 16 February: In the morning, rations and water taken to all the Companies. The day was “fairly quiet.” In the evening 10/Royal Welsh Fusiliers relieved the Battalion in the trenches. 17 February: 12.50am relief completed and the battalion proceeded back to Reninghelst. 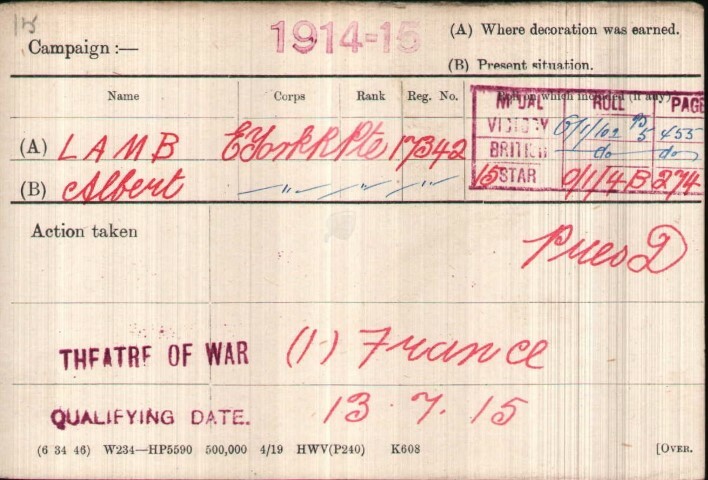 Private A. Lamb was awarded the 1914-1915 Star, British War and Victory medals.